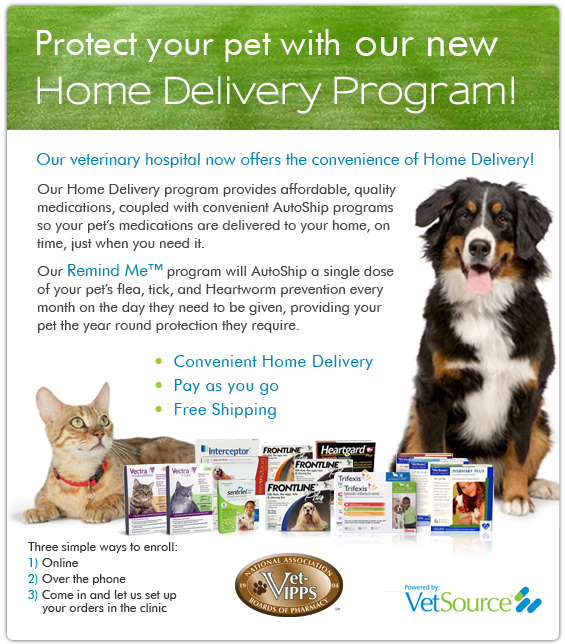 LOVH is pleased to add home delivery to our many services. You can now go on-line and order the products you need, and have them delivered at home. You can even have your pet’s prescriptions refilled! We’re thrilled about this, because so many people like the convenience of an on-line pharmacy, but finding one that is reputable is not easy! It’s really easy–if you are asking for a prescription refill, it has to be approved by Dr. M, for your pet’s safety. Imagine that! That’s just how we do it, if you walk through our door to have prescriptions filled! As soon as he approves it, it is sent right to you. As always, we strive to offer you all the service you need for your pets. What services would you like to see added to this incredible line-up?